A good chef knows exactly which cut of beef is on the grill. 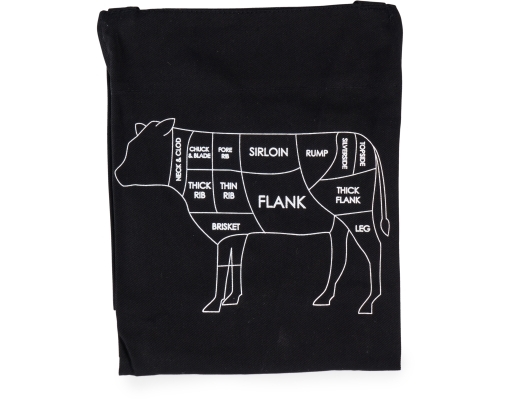 Know the cuts like a pro with this helpful apron. 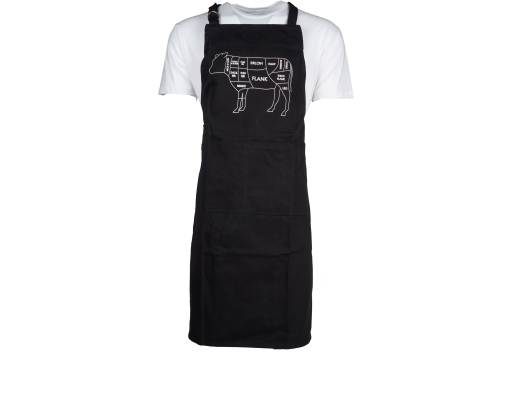 Design outlines different cuts of beef and stand out against the bold, charcoal-black color. Perfect for summer barbecues outside. D-ring neck tie for easy adjustment and waist tie for comfort. Pockets in the front for carrying utensils.